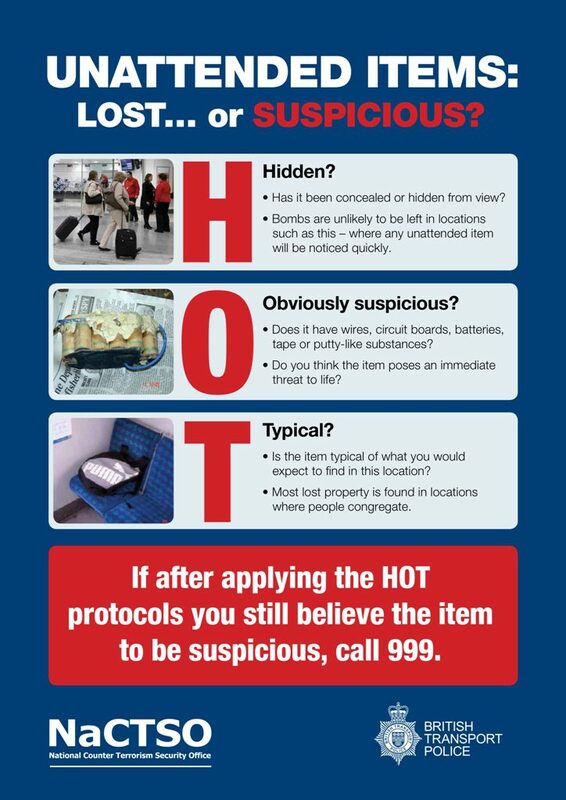 This checklist has been created by Counter Terrorism Policing to assist businesses in the lead up to Christmas and the New Year. During this period we can see a significant increase in the number of people visiting retail and night time economy premises. This checklist will help to ensure that the right protective security measures are in place. 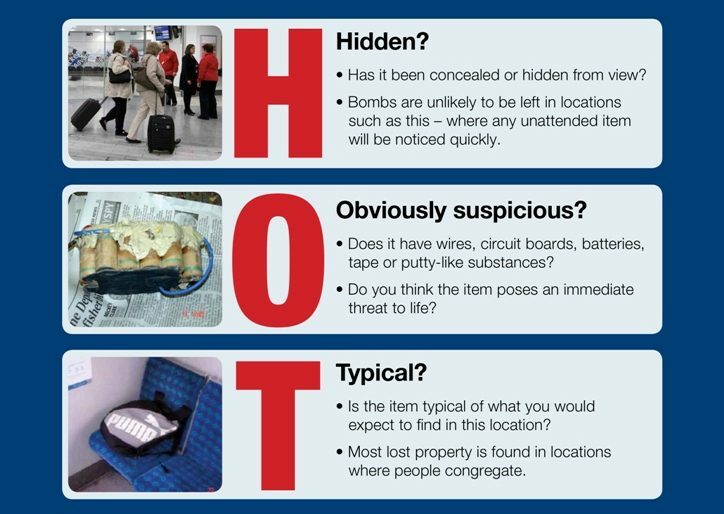 Suspicious Items: Ensure staff understand how to respond to suspicious items. Do staff know the HOT principles?